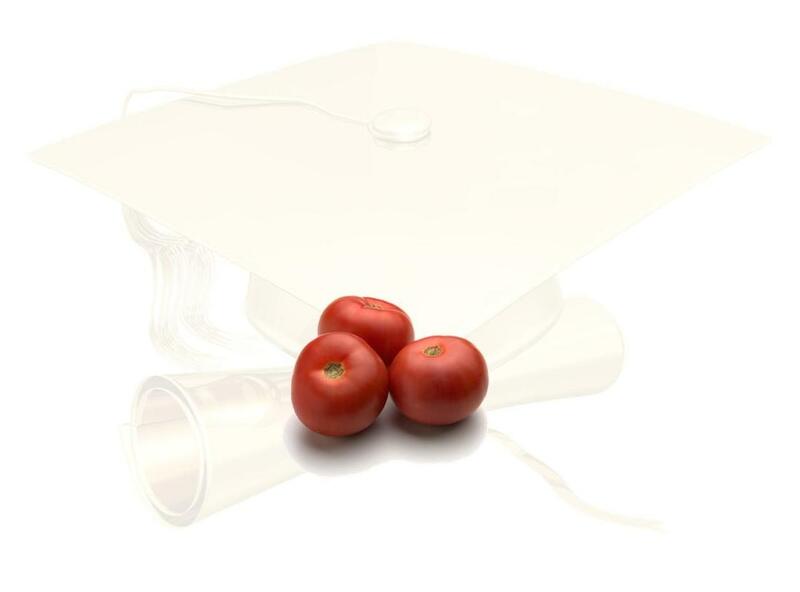 In the last post, I asked the question "What Got a Higher Priority: Getting Your PhD or Buying a Kilo of Tomatoes? ", and I was actually raising the question of how to make the most important tasks from non-urgent tasks to urgent tasks? how can we take an action about them? how can we get the same attention and follow-up from those around us on those important tasks just like how we get their follow-up on buying the kilo of tomatoes? How can we stop dreaming before we find our life is over? So we're accurately here addressing the case where we think, dream, intend and then look for some urgent important or unimportant tasks to push achieving this dream away, to postpone the change, to stop our growth while the world around us is rapidly moving and progressing. The solution is really simple. And before we jump into the solution let's look at the reasons, the causes behind this problem. What's it that makes us less serious about our dreams. I will take the PhD as an example, and I'll compare the dreamer and the actor. When dreaming about having the PhD, the dreamer's motivation to finish the thesis is not as serious as the actor's, the one who's already working on his thesis. The dreamer's feeling of the return is also incomplete. The actor is already seeing the impact this step will have on him. It's enough for him to look at his lecturers, or peers who're about to finish or have finished their PhD and he gets that everyday. For the actor the benefit is crystal clear and for the dreamer it's vague and uncertain. The actor sees the benefit and charges his motivation daily and dreamer tries to imagine those benefits and how they may feel or look like. The dreamer knows that he generally wants to have a PhD, from which university? In what subject? What're the prerequisites? What's the process until the thesis defense? How long would that take? How is he going to do it? He doesn't really know. Who's his thesis supervisor? What're his requirements and expectations? He doesn't really know. As a matter of fact, his dream is not really defined, it's just like how they always try to visualize the dream; foggy, blurry and whitish. The actor knows the answer for most of these questions in addition to sufficient answers to support his progress for a year ahead. The dreamer dreams of a dream that he doesn't really know, and the actor is acting on tasks that are crisp and clear. One of the biggest problems is thinking about our dreams as a whole and not as a sequence of tasks or events. We see the PhD or the book to author or the business as a result, as a point and not as a process. And this is the reason of feeling unable to approach this big monster. The actor sees his next task to be delivering chapter 3 of part 2 for revision, while the dreamer sees his next task to be getting the PhD. The dreamer didn't start yet, he didn't exert any efforts to accomplish his mission and so all of the mission is remaining. And this is an enough reason to not attack it. If we imagined that he finished half of it then he only has to work on the other half. If he did, It should make his mission easier and should make him a bit committed towards what he has accomplished so far. The dream is still a dream. He didn't get his feet wet. He didn't feel the taste of achieving one step on the road. And when considering the above reasons it would make it feel more difficult for him to work on. Surely, achieving one step on the road should make him on the other extreme. The dream is his and his alone. He may narrate it to others but it remains his dream. As long as it's not put into action, people are only able to share his dream for few moments. On the contrary, in the times of action millions will give a hand to help him get his PhD. Yes, it's not only about his family, the lecturers, the supervisor, the dean and the librarian. It also include the researchers working in the same field all over the world, and those who're facilitating their lives and operations. It includes the passport control officers, the airlines companies, the bus driver and the guy in the grocery store. Yes, everyone can help when it comes to action, otherwise the dream is his and his alone. He dreams for an hour then sleeps for hours. It may hit his mind once or twice a year when the academic year is about to start or when he hears about someone who started or finished his PhD. In the beginning it's more of a reminder, then it becomes a painful feeling of guilt that he tries to escape. For the dreamer, It comes every now and then and then stops. The actors lives it in every single moment with all his senses and attention. See? I Was Right! ... Yeah, Right! When the dreamer looks at someone who has started and then stopped or faced a problem he would say: "See? I was wise I didn’t start". He sees that he didn't risk his time and money which both may have been already wasted in hundreds of kilos of tomatoes. He would forget that the gap between both of them is really huge. The actor that faced a problem has to look for a solution and then he would be done. The dreamer is in front of a dream that he didn't have the courage to attack. After a short or a long period of time, the actor would have achieved, and the dreamer would have achieved a dream. He thinks that he didn't risk anything, but indeed he risked his life and his dream. To continue to dream of the PhD for years leads us to getting used to dreaming, and makes us even more far from approaching the achievement. And It's worse to add more and more dreams in addition to the PhD, and then we end up with dreams as our daily bread. There's no doubt that we can't do anything we don't have the resources for. I do believe that lacking the resources doesn’t have that much of impact when compared to the other reasons. Mostly if the dreamer started to work on his dream then lacking the resources will just be another problem like any other problem that he has to pick the solution for from plenty of available solutions. Is there any other causes you'd like to add? Are we close from the solution? Can you detect it? <What Got a Higher Priority: Getting Your PhD or Buying a Kilo of Tomatoes?